Founded in 1992 by Brendan Burke, the clinic provides a high standard of Specialist care and treatment. We are based in central Tunbridge wells, 2 minutes’ walk from the railway station with free parking. The clinic has looked after players from London Irish Rugby Football Club, Crystal Palace Football Club and Charlton Athletic Football Club since 1994. Up to present day we are proud to look after the players of Tunbridge Wells Rugby Football Club. .
Brendan is the founder of The Wells Physiotherapy & Sports Clinic. He graduated from Bath in 1982 and worked within the NHS teaching Hospitals until 1988. From 1988 - 1992 he worked in Tasmania within a private practice, rehabilitating elite sportsmen and women. He then returned to the UK in 1992 to set up The Wells Clinic. Nick graduated in 2011. He worked within the NHS for 3 years, rotating around various specialities such as neuro, respiratory and orthopaedics. He chose to specialise in musculoskeletal out-patients and has been doing so since 2012. He joined The Wells team in 2014 and has recent experience of working with the Tunbridge Wells Rugby team. Will qualified in 2011 and has been working at the clinic since then, specialising in musculoskeletal physiotherapy. He spent time doing post-graduate studies in Australia and Portugal working on advanced sports injuries rehabilitation. Will has a Master's Degree in Clinical Manipulative Physiotherapy from Curtin University, Australia. 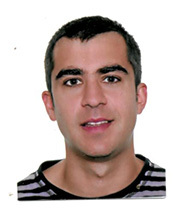 Angel qualified in 2013 in the Central university of Catalonia (Barcelona, Spain) and has been working in different football and handball team´s, specialising in sport physiotherapy and psychoneuroimmunology. He spent time doing post-graduate studies in Madrid and Italy (Bologna) working on sport injuries rehabilitation. Angel has a Master`s degree in sport physiotherapy from the European university of Madrid (Spain, 2015) and a post graduate study in psychoneuroimmunology (Spain, 2017). He has been a semi-professional athlete between the 2011-2013 selected 4 times with the Basque Athletics national team. In 2018, Winner of the cross country England national champion with the Tonbridge Athletic Club. Suresh is Consultant Physiotherapist in Musculoskeletal Ultrasound & Medicine at Medway Maritime Hospital in Gillingham and has been a Fellow at Thomas Jefferson University Hospital Radiology Department in Philadelphia, which is internationally acclaimed for its work in Musculoskeletal Ultrasound. Qualified from University College of Salford in 1992 and went onto work in the NHS for 10 years. Specialised in Musculoskeletal Physiotherapy and Sports injuries and worked in the physiotherapy team at Wigan rugby league prior to moving south. He joined The Wells clinic in November 2002. Pippa graduated from East Anglia University in 1997 and has worked in musculoskeletal physiotherapy at Kings College Hospital and a Private Sports Injury Clinic in London. Pippa also holds a Postgraduate Diploma in Veterinary physiotherapy. She worked at The Wells Physio in 2003/4 and re-joined in 2009. Rosemarie qualified as a podiatrist in 1988, and has since worked in the NHS and privately. At present holds the post of Lead Biomechanics for a local NHS Trust. She has worked privately at he Wells Physiotherapy & Sports Clinic since 2003.